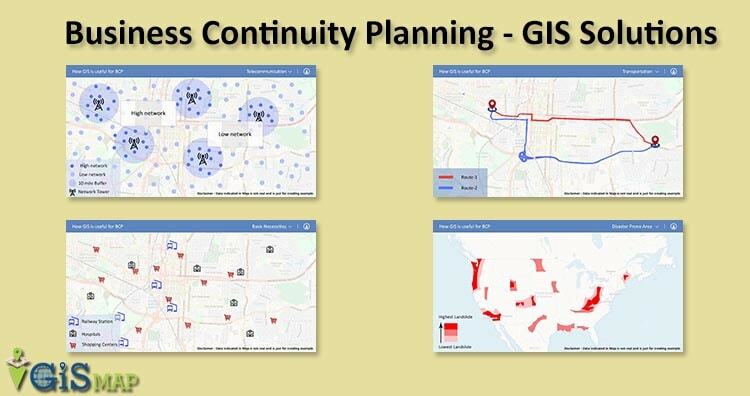 In this post we are going to discuss about Business Continuity Planning and GIS solutions in it. GIS stands for geographic information system. GIS is more than just providing locations and navigation. Though these are the basic functions of the GIS, but these basic functions has more user than just an individual. 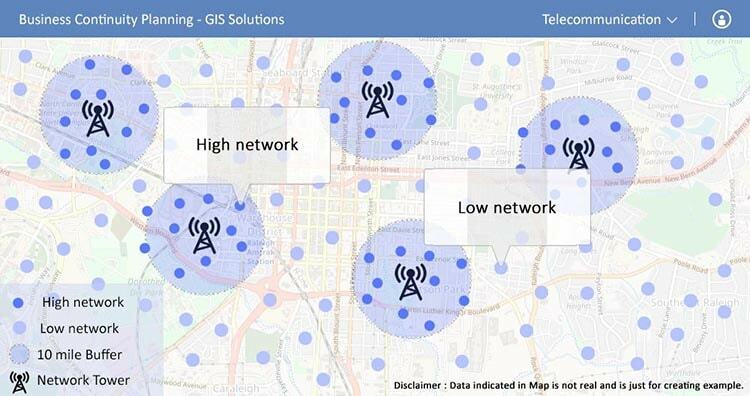 There are many entities which now are using the GIS for their business purpose. One of them is Business Continuity Planning (BCP). BCP is one of the planning part performed by the industries. BCP is the abbreviation for the term business continuity plan. So lets discuss what is BCP? and how it is useful for the industries? and how do they plan it with the help of GIS? What Business Continuity Planning is ? Basically, the main function of Business Continuity Planning is to make sure that the business is functioning in every adverse condition. As the name implies BCP is a plan made for the continuation of the business workings even when it is not possible to continue with the working. Sometimes it so happens that the conditions are not favorable because of any natural calamity has had happened like flood,earthquake, cyclone or maybe some terrorist activities has been noticed, so in these situation no industry can do the efficient working or least to continue the workings. So in these cases BCP plays a major for the industries. How Business Continuity Planning Works? Planning the alternative site for office. Plan the resources for working there. Making a plan with feasibility. So BCP is not only about the alternative site, but there is more to it. For Business Continuity Planning we need to analyze the kind of calamities or any such adverse situations which may occur in the region where main office is located. so to find out those regions GIS will help industries. 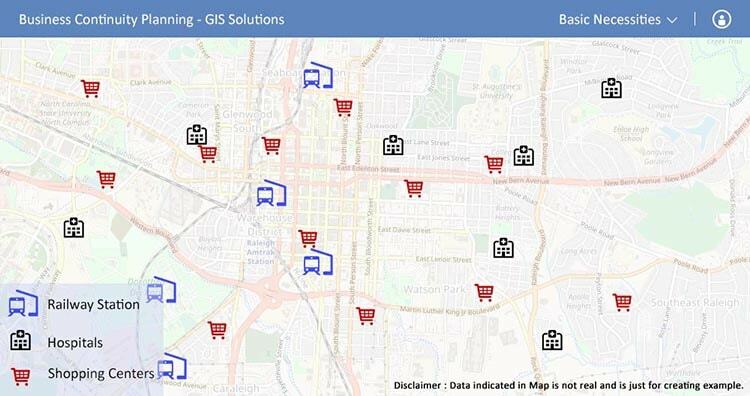 How GIS can help ? To know the flood prone area : Through GIS one can know the flood prone area as on map we can easily identify the blue region area. So we can know that what else calamities are likely to happen here in these regions. To forecast the calamities on the basis of past data : one can forecast the calamities which are probable to occur on the basis of the past data of that region. Know the landscape area : One can easily know the areas where landscapes are likely to occur like hilly areas. Every Business needs a Good transportation service. Specially when it is a logistics business or the product based business. So while looking for the BCP location of your business, you should take care of the transportation factor also. 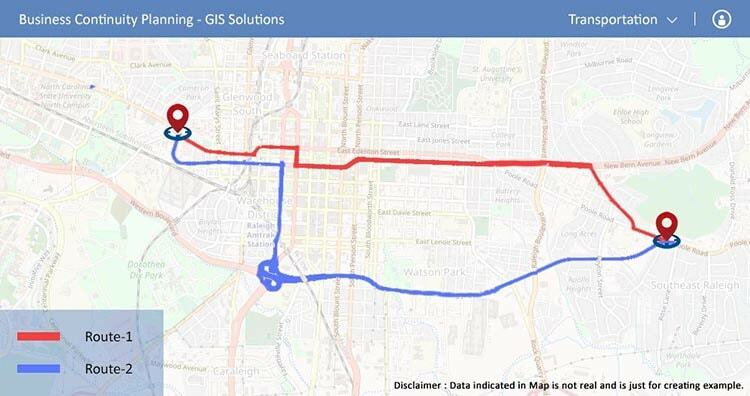 As far as Transportation is concerned GIS can help you in finding the best routes and can help you in navigating through the route. By using GIS tool or maps you can easily evaluate this factor. Without communication no business can sustain in the market. A business needs to communicate in the market with its vendors. So, While planning the Business Continuity Planning the company needs to check the Network availability and the ways in which communications can be done. So, using the GIS they can find locate the areas where there are chances of having the good networks even if any adversity has occur. Availability of the resources should be an ease. So while looking for the BCP location of your business you need to research the places where you can have the easy access to the resources and then you can locate that in a map. Basic necessities may include hospitals, shopping marts, etc all should be in access such that it would motivate employees to work on the Business Continuity Planning locations. GIS or Maps would be a great help in this. Instead of all these ways, one can also take the past data which shows when and where such situations had occurred and can locate them easily on the map, which will help them to plan their BCP accordingly. 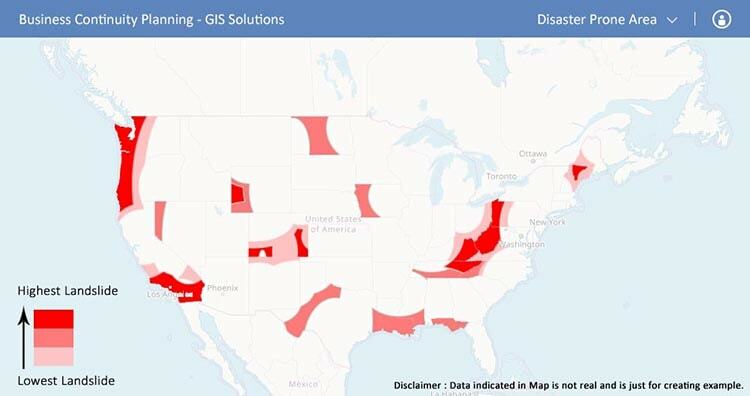 So, this is how GIS helps in Business Continuity Planning of the company. Do plan BCP for your company and do let us know how this article helped you in making the BCP of your company, by commenting below in the comment box.